Lyndey Milan offers is her top 5 tastes of Australia. 1. Mud-crabbing in the traditional way with delightful indigenous guide Dom Matsumoto who works out of Eco Beach Resort south of Broome. It’s 30 minutes by 4WD to Jack’s Creek. You’d never find it on your own. He was taught how to mudcrab by his father and is respectful of tradition, the land and the wildlife. When he catches a male mudcrab of sufficient size, he semi-smokes it over driftwood on the beach – it’s a taste experience you will never forget. 2. Foraging for wild mushrooms in a secret forest location near Oberon, NSW, with Bella and Katriina from FinSki’s. They draw on their Finnish and Polish heritage and go in search of exotic saffron milk caps (or pine mushrooms) and Slippery Jacks. The forest is eerily quiet – walk slowly but look quickly. If you see a little mound, push the needles away gently and there will be a mushroom, if not a pine cone! If you find one, look nearby – it will have neighbours. 3. Jindabyne’s award-winning Wild Brumby Distillery to taste the raspberry schnapps made from estate-grown raspberries. Brad Spalding and his Austrian wife Monika run an immaculate café with distillery on-site, and make a wide range of schnapps, ideal for the alpine lifestyle. Try their Pink Lady schnapps, too! Here the bugs are kept away by companion planting of tansy, horseradish and garlic. 4. Venison and truffles in Orange, a fabulous destination for food, wine or art lovers where you’re spoilt for choice. Book in for a Mandagery Creek Venison farm kitchen lunch, a cooking demo and farm tour or search for truffles then dance the night away at the Borrodell on the Mount annual Black Tie and Gumboots truffle forage and dinner. 5. 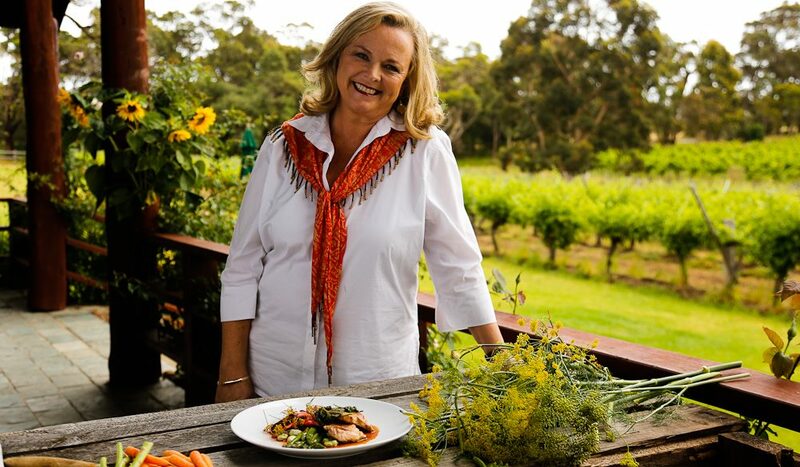 A foodie fiesta at the Margaret River Gourmet Escape. Rub shoulders with over 25 of Australia’s and the world’s best chefs, winemakers and food characters at this annual foodie event. Visit the Gourmet Village, attend the classes and dinners, hang out on the beaches and drink world-class wines like Cullens.